Issued at 4:12 pm Tuesday, 11 September 2018. 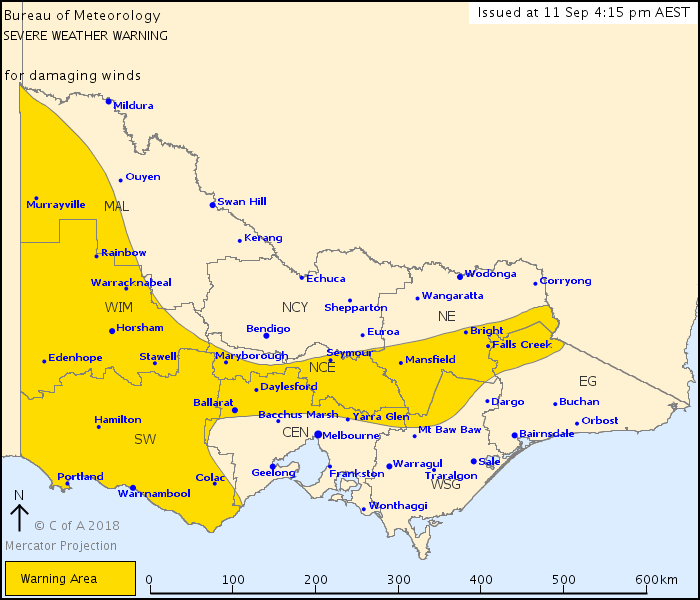 Locations which may be affected include Horsham, Warrnambool, Seymour, Maryborough, Kyneton and Ballarat. 91km/h was recorded at Mt William at 2:50pm.